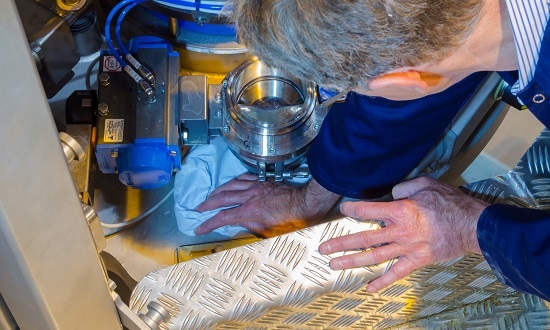 Individually, minor upgrades to a machine aimed at improving performance or making operation easier are welcome, but the effect can be hard to quantify. However, when the results of a number of related enhancements are combined, the outcome can be a major operational boost. 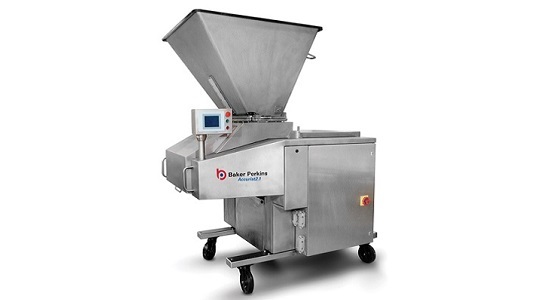 A series of recent improvements covering hygiene, cleaning and maintenance on the Tweedy™ bread dough mixer, tub hoist, and Accurist2.1™ dough divider come into this category. Effective cleaning is fundamental in today’s hygiene-dominated bakery environment, so it is sensible to eliminate manual cleaning where feasible, and make the remaining non-automated tasks as simple as possible. 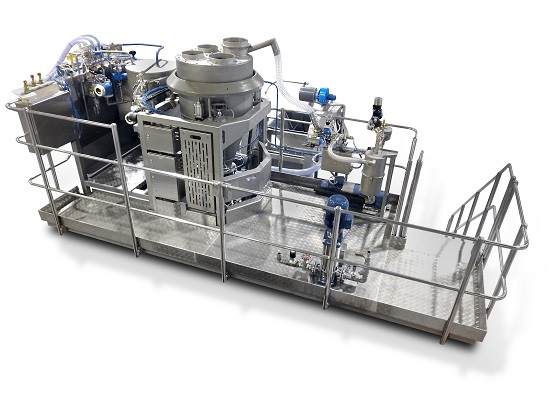 A time-saving automatic wash-in-place system for the mixing bowl gives a highly effective cleaning action and reduces operator involvement. Manual cleaning to remove a build up of dough is tedious, and has become a major problem in terms of time, effectiveness and safety. Many bakeries need to clean frequently between product runs to avoid cross-contamination. The system includes a wash attachment bar that is fitted to the beater, plus a self-clearing drain valve in the bowl that provides a quick and effective method of cleaning the bowl and lid. The ingredient platform and top of the lid have been designed to minimize the accumulation of debris and make any that does collect very easy to remove. Liquids on the ingredient platform are contained by a fully drained wash-down wet area. 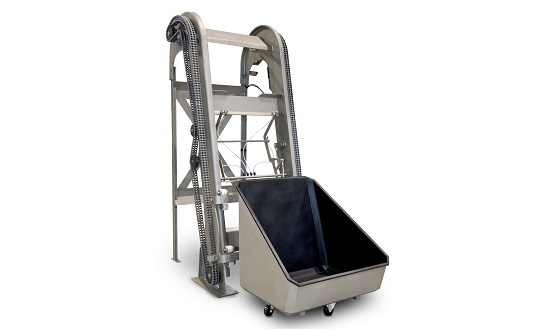 Another element in the Tweedy™ system, the tub hoist, has also been upgraded to improve maintenance and hygiene. This is now washdown, with excellent access to all areas for thorough cleaning by hose. Enhanced hygienic design means less debris, and any remaining debris is easy to see and remove. A second enhancement is a mechanism for spraying oil into the tub immediately before discharge of a batch of dough from the mixer. 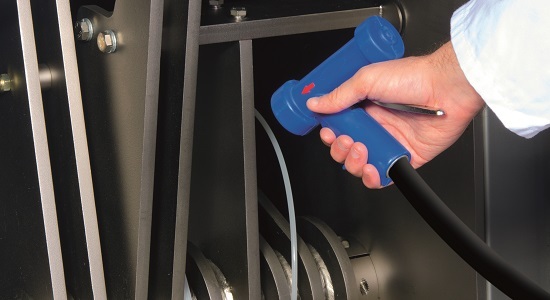 The oil spray nozzles are attached to a pivoting arm that moves into position automatically as soon as the empty tub has returned to the bottom of the hoist. The latest development on the Accurist2.1™ divider is wash-down capability. All mechanisms between the frames of the divider are now made from stainless materials with sealed-for-life bearings. 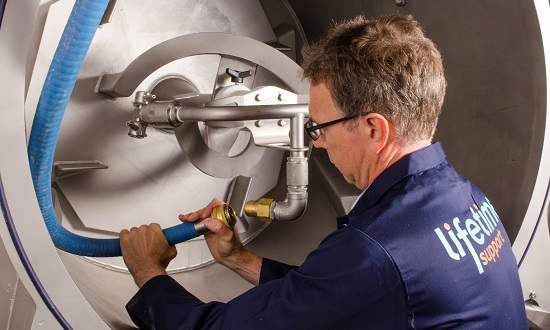 This enables chemical foam-and-rinse cleaning using a customised low-pressure spray gun in all non-product-contact areas of the divider where oil and dough debris might collect. Allergens and pathogens are a rising concern, and are most reliably removed by these methods. Wash-down allows the thorough cleaning the industry now demands. The divider can be wheeled away from the production line to a dedicated drainage area to prevent cross-contamination in the production area. Accurist™ dividers have an excellent non-stick coating to ease the passage of the dough, with the option of a system of oil nozzles ranged round the top divider hopper to pre-lubricate the sides of the divider hopper. Oil consumption is minimal because it is being applied exactly where it is needed. There is also a centralised manually operated greasing system for bearings and mechanical linkages. These small but significant upgrades have made mixing and dividing much less labour intensive and much more hygienic – a classic example of a significant benefit deriving from the cumulative effect of many smaller ones.